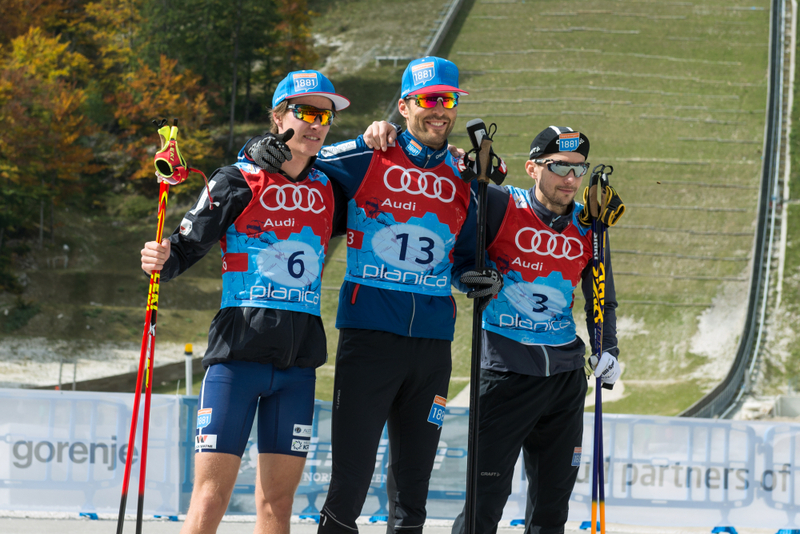 Planica hosted the 5th Individual Gundersen competition of the FIS Summer Grand Prix Nordic Combined. The maiden event of this rank in Slovenia started at 10.00 with the ski jumping competition round, which was followed by quite a few sports fans. Frenchman Maxime Laheurte finished on top of the table with 137.0 meters and 133.3 points, which gave him a 12 second advantage over the first follower Kristjan Ilves of Estonia (133.0 m, 130.3 p). Ranked third was Jan Schmid of Norway (134.5 m, 126.2 p) with a 28 second deficit before the second part of the competition. Home athletes did well, three of them made it in the top 15, with the best being Vid Vrhovnik in 10th place and 53 seconds behind the leader. The cross-country race attracted even more crowds as we were expecting a tough fight for the podium. In the end the first three places belonged to Norwegians after a photo finish. The winner was Magnus Hovdal Moan, who was seeded 13th after the first part of the competition. He beat his fellow teammates Espen Andersen and Jan Schmid by 0.1 and 0.6 seconds. Marjan Jelenko was the fastest Slovenian on the track, finishing 12th, while Vrhovnik and Leon Šarc also got into the points positions with 17th and 29th place. The last competition of the season will start tomorrow at 9.00 with the trial round.